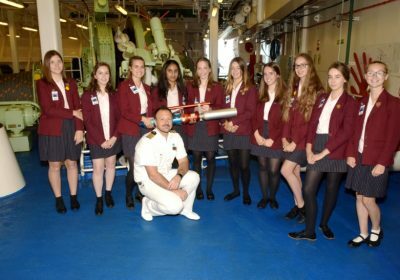 Portsmouth High School girls had a unique collaboration this week between the school and Princess Cruises, part of Carnival plc. 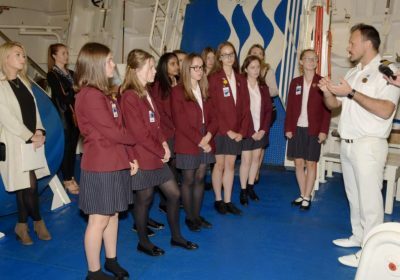 The Year 10 girls enjoyed an exclusive behind the scenes tour to give them insight into career opportunities available in the cruise liner industry. 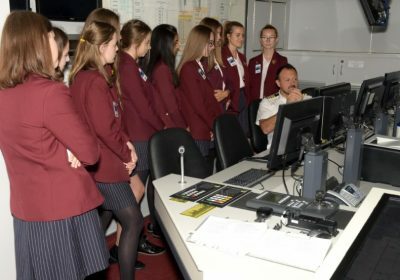 This was an ideal opportunity for the girls in the week leading up to International Women in Engineering Day on the 23 June. 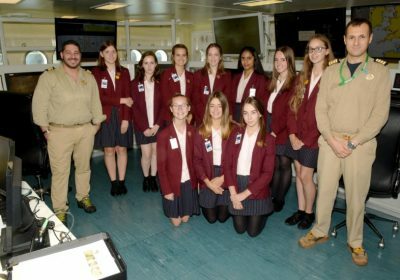 International Women in Engineering Day (INWED18) is an international awareness campaign, led by the Women’s Engineering Society, to raise the profile of women in engineering and focuses attention on the career opportunities available to girls in this exciting industry. The day celebrates the outstanding achievements of women engineers throughout the world. 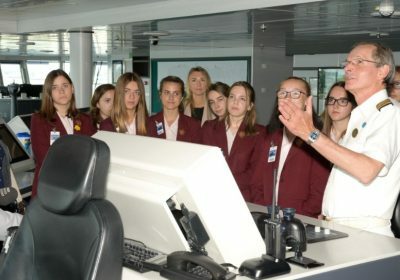 The girls had a chance to meet Captain Nick Nash and the officers, who talked to them about the skills required and the various routes to careers in the sector. The girls came away from the visit with great aspirations to be the next wave of women in the industry.